More than twenty years after the Bruntland Commission report, Our Common Future, we have yet to secure the basis for a serious approach to global environmental governance. The failed 2002 World Summit on Sustainable Development showed the need for a new approach to globalization and sustainability. 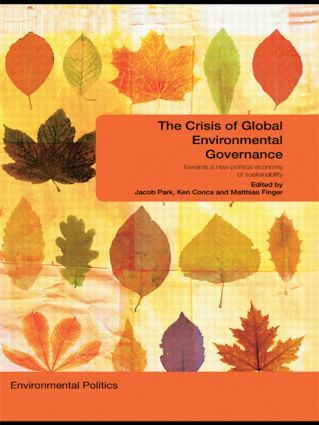 examines the marketization of environmental policy-making; stakeholder politics and environmental policy-making; socio-economic justice; the political origins of sustainable consumption; the role of transnational actors; and processes of multi-level global governance. This book will be of interest to students and researchers of political science, international studies, political economy and environmental studies.